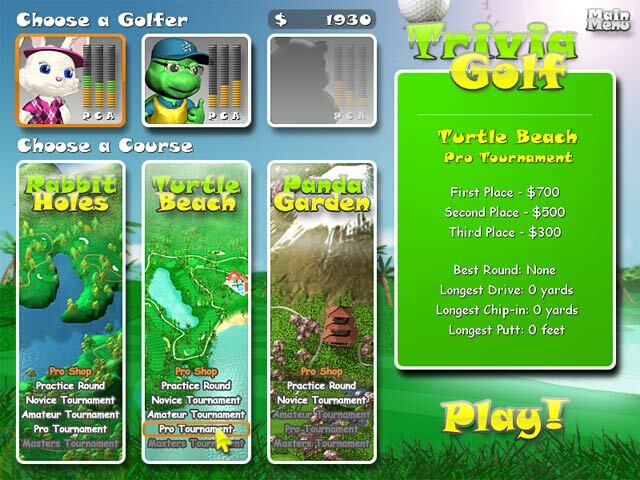 Trivia Golf is rated 2.7 out of 5 by 7. Rated 4 out of 5 by Buschman714 from NOT that bad IF...IF you like answering trivia AND feel like Strategy, it' a GREAT game. It is NOT a Trivia Game of Golf #which initially thought#; You answers questions...helps Golf action maneuvers. Recommend for change of pace of Lighting round playing of Trivia Stereotypes.. Rated 4 out of 5 by Hillbilly_Gal from Challenging, Mildly Addictive I enjoy trivia and this game is very good. They get pretty tricky! This game really tests your knowledge which I enjoy. I'm not a golfer so I don't really understand the terms in this game such as "par," "shank," "hook" etc. but that's ok. The main thing is to get as many answers to the trivia questions correct as you can. The more correct your answers the better golf shot you will get. Just aim the red arrow toward the hole, pick your club, answer the trivia question correctly and you have it made. If you don't answer it correctly that's ok, too. I enjoyed playing the free trial of this game. Rated 2 out of 5 by Petlover1 from Trivia Golf my first thought was this is great. But with no game save and no correct answers given. it just became frustrating. 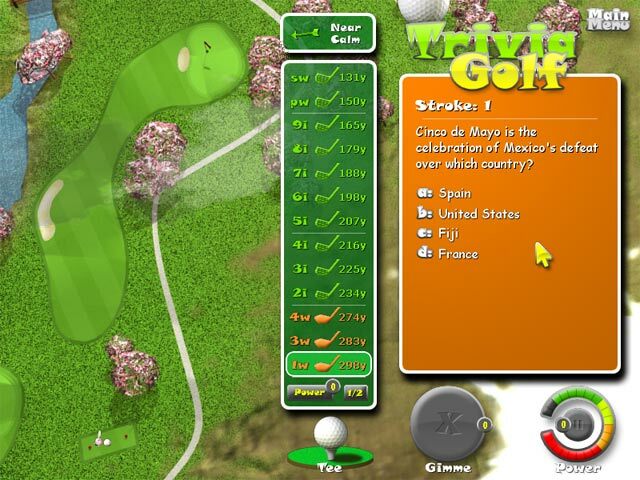 Rated 2 out of 5 by arnold1049 from FOR GOLF FANS ONLY I was attracted to this game because it said "Trivia". I figured I could put up with some golf stuff on the side. But it is 98% golf and maybe 2% trivia. If you like golf, I think this would be a neat game. But I don't so it's not for me. Rated 2 out of 5 by Sternum from Not Bad! Maybe it is just me. I always loved the older games, being 38, I now feel old when I try newer games and am a bit unimpressed.! Saying that, THIS GAME IS FUN! I enjoy the golf element as I always have loved any golfing game, especially a simple crazy golf type or thereabouts. The thing with this, and many other games on this site is that they mix elements of other game styles into one game and I really don't know if I like it this way or not. I would have been more happy to find that this game was a golf game, with a bit more skill element in the choosing and using of clubs, power of hit etc. Instead these are worked out by how well you answer a trivia question! This reduces the 'skill' in the golf part to luck! If you get a hard question you will fail to pot the ball, if you get an easy one and win it, you win! I don't like the gameplay all that much but I will say it is very nice interface, the game is relaxing and works well on my win 7 PC with not much ram OK. I will continue to play it but I probably won't be looking for any more trivia mixed with ********* games in future. Rated 1 out of 5 by Sweetman8278 from Great Trivia, Poor Golf The game's trivia aspect is good but the whole golf swing aspect of it is horrible. I would sit and answer questions correctly but over shoot the very close green because there is no distance gauge like most golf games. I played 3 holes and deleted it right away. Play the trial first and see for yourself how you like it. Test your trivia knowledge like never before… on the green! 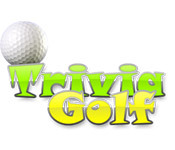 A fun mix of golf and trivia awaits you in this Brain Teaser game!